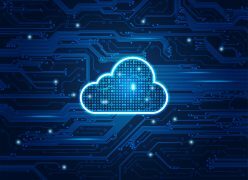 Cloud treasury and finance solution provider Kyriba is in advanced talks with private equity group Bridgepoint to receive a $160 million investment round, reports Jane Connolly. Once closed, the deal would give Bridgepoint a majority stake in the business and value Kyriba at $1.2 billion. Daher Capital and Iris Capital will remain as investors, along with Kyriba chairman and CEO Jean-Luc Robert, who will continue to lead the unchanged management structure and strategy. Kyriba’s cloud platform connects siloed financial systems to global organisations to improve key capabilities for cash and risk management, payments and working capital optimisation. The company plans to use the investment to enhance customer support and expand its open partner ecosystem. Kyriba will also specifically invest $60 million into product innovation over the next two years. Following a record year in 2018 – which saw revenue surpassing $110 million and the addition of 229 new clients – Kybriba announced its intention to acquire enterprise currency management company FiREapps in January. New research shows that large businesses are continuing to identify risk management and corporate governance as pressing financial priorities. To achieve true visibility into these areas, corporate treasurers need detailed insight and accurate forecasting capabilities. SaaS platform brings bank connectivity for treasury ops. Digital wealth management company is in a happy Silicon Valley. BlackRock gets 4.9% equity stake in a stock transaction totaling $123 million. Witness the wonders of the wealthtech world for free! Bank's Propel Venture Partners one of the backers for Indian firm. Bank has digital brain wave for its financial advisors.